Global Health students on a Ghana field experience. Photo courtesy Dana Yi. UCSD has become one of the first universities in the nation to offer global health as an undergraduate program. As a school that has already captivated a large number of students craving medicinal sciences as an undergraduate study of choice, UCSD has added another option to its portfolio of “pre-med” majors with its newly established global health Bachelor of Arts program. Originally offered only as a minor, students now have the opportunity to embark on a unique major curriculum that combines courses from multiple departments to present a complete understanding of the theory necessary to tackle today’s complex global health issues. The global health minor first made it onto the UCSD catalog four years ago with its eventual evolution into a fully developed major program in mind. As Global Health Student Advisory Committee representative Jarrod Ekengren explained, the motivation for the program’s inception was to provide a hands-on curriculum that would teach both biological sciences as well as social studies to meet the needs of an increasingly interconnected society. As a result, global health is an interdisciplinary major that borrows courses from a multifaceted array of departments. Core classes pull from anthropology, history and sociology and also require an epidemiology course and a policy analysis course. Electives require two classes in biology and then go on to span across philosophy and many other departments offering classes regarding humanities in medicine. That being said, new courses are also being crafted specifically for the global health program, such as GLBH 181: Essentials of Global Health. This brand-new course will be taught in the spring by Dr. Anita Raj, who is the director of UCSD’s Center for Gender Equity and Health. Additionally, global health students will be one of the few majors on campus required to fulfill a senior thesis for graduation. This requirement will be completed by partaking in a double seminar sequence — GLBH 150A & 150B — that will mentor students as they write a senior thesis that can be presented as credential for graduate schools and other professional work. 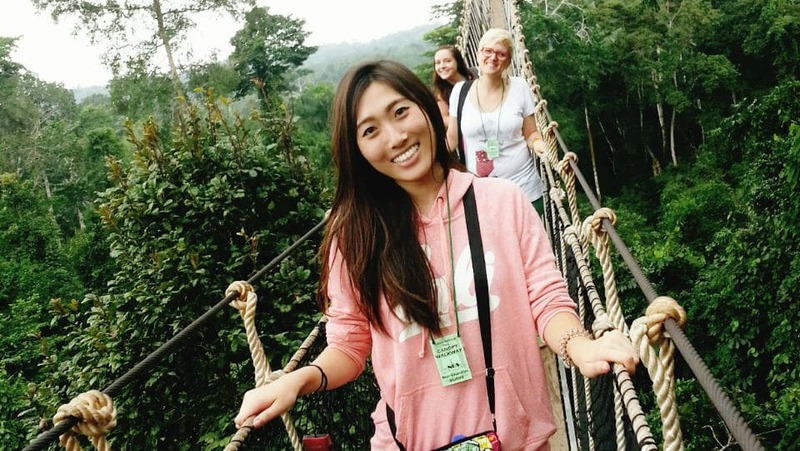 Possibly the most unique aspect of the global health program is its required 100 hours of field experience as a component of the curriculum. Opportunities are available both domestically as well as overseas for those wishing to study abroad. Many students have followed their passion for health over to a variety of countries in Africa where they’ve assisted in installing low-cost water filters for communities without clean water and promoted health education in schools. Programs in Japan, Costa Rica and Thailand are also available. Other students have opted to focus on local issues here at home, such as the UCSD Global Health Gun Violence Intervention Group. After collaboratively designing a curriculum aimed at middle school students about preventing gun violence, the group garnered attention from the Clinton Global Initiative University. Three of its students will be traveling to a conference in March to receive funding, training and other support to see the education plan through. Ekengren explained that hands-on field experience is the core of what sets UCSD’s global health program apart from other curriculums in similar health fields.